When a practical, dependable vehicle is in order, the 2017 Toyota Corolla is the obvious choice. The sedan has generated a considerable following, thanks to its legendary reliability and ability to conserve fuel. At the same time, a sport exterior and voluminous interior add considerable value. Advanced onboard technologies, including some clever safety innovations, are also part of the mix. 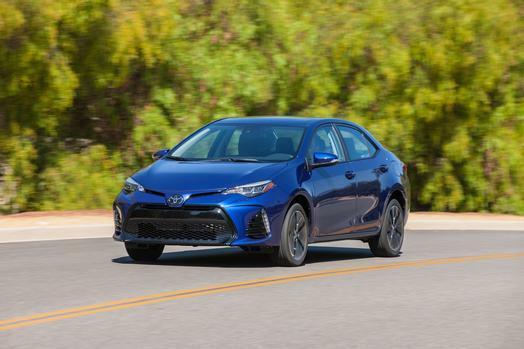 Buyers get to choose among a whopping 7 trim levels for the 2017 Toyota Corolla. With a varying mix of features, you can easily find the model which is best suited for your needs and desires. No matter the version, an excellent build quality will ensure the car serves you well for years to come. 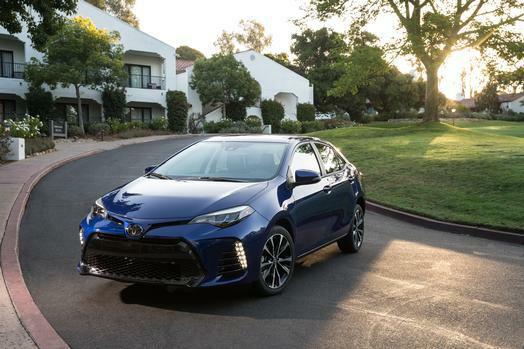 Each trim level of the 2017 Toyota Corolla is powered by the same 1.8-liter 4-cylinder DOHC engine with Valvemetric technology. The setup is good for a healthy 140 horsepower and a 126 lb.-ft. of torque. SE models come with a smooth 6-speed manual transmission, while the rest use a continuously variable transmission (CVT). Available paddle shifters give drivers a little more control over how the CVT operates. For those who want efficiency, there is the 2017 Toyota Corolla LE Eco. Like other trim levels, its body was designed through extensive wind tunnel testing, ensuring excellent aerodynamics. Boosting fuel economy further is an ECO Mode button, which reduces output from the accelerator pedal and automatically adjusts the air conditioning as necessary. Everyone who rides in a 2017 Toyota Corolla is protected by a series of active and passive safety features. Toyota Safety Sense is standard, bundling together several key features such a pre-collision with pedestrian detection, dynamic radar cruise control, lane departure alert with steering assist and automatic high beams. More active features are packed into the Star Safety System, which is included on every version of the car. Each technology addresses braking capability, traction and similar areas. the tire pressure monitoring system, another standard feature, also helps avoid accidents by maintaining the tires properly. In the event of a crash, passive equipment such as the standard 8 airbags or whiplash-injury-lessening seats spring into action. Even the slightest details in the 2017 Toyota Corolla's interior gives it an air of sophistication. For example, the dashboard features few physical controls, flowing lines, plus optional piano black trim and contrast stitching. Optional SofTex upholstery mimics leather, but won't stain and even resists water spills, making it easy to maintain. Many modern technologies are available for the 2017 Toyota Corolla, helping you to stay connected and aware at all times. The smart key system means never having to remove the keys to open the car or start the engine. With the integrated rearview camera, backing out of parking stalls or driveways is far easier and safer. Optional voice recognition controls on the steering wheel lets drivers speak, instead of hunting for the right option on the infotainment screen. Bluetooth connectivity makes it possible to have phone calls or stream music without the use of wires.